California housing markets are at a critical juncture at the beginning of 2019. After experiencing the tightest market conditions seen over the past three years in the first half of 2018, the number of homes sold in the Bay Area has continuously declined since mid-2018. In January 2019, the year-over-year decrease in home sales continued at double-digit-percent rates, with the three-month average decline in the Bay Area at 16 percent. In other words, over the last three months, about 700 fewer units sold on average per month than last year in the Bay Area. To demonstrate the divide in seller and buyer behavior, Figure 1 illustrates Bay Area market dynamics over the last three years. Costing nearly $1,800, replacing a swimming pool’s filtration system is the most expensive routine home-maintenance task, . 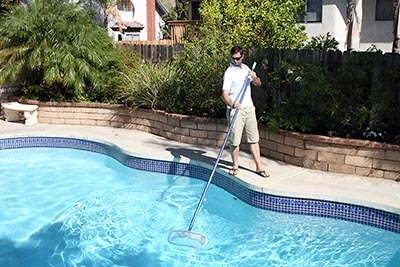 Most pools require owners to do this every two years. Los Angeles presents a study in contrasts when it comes to home-maintenance spend. The city’s 90077 neighborhood, which includes Bel Air, is not far behind Atherton, with owners paying an average of $26,474 each year on regular maintenance jobs. Close by in zip code 90073, owners spend less than half that, at $12,746 each year, the lowest in California.